Manufacturing businesses throughout the Waco, Dallas and Fort-Worth area all have one thing in common. You require outstanding communications to get the job done. Whether you operate out of a single operations center or you have plants spread throughout the area, Aerowave Technologies can help you build a better, more effective, communications network for your organization. Why is Communications Critical in Manufacturing? Access to an instantly connected workforce allows you to get the job done faster, and more importantly, get the job done safely. We offer instant access to communications with the push of a button. 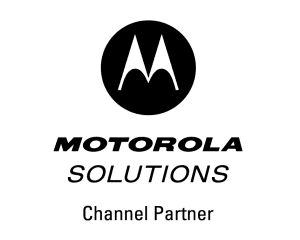 Motorola Two-Way Radios allow communications with a single person, a group of people, or your entire organization allowing you to get the job done faster, reduce risks, and keep your costs under control. Motorola Digital Radio Systems can be used to fuel communications in factories of every size. With Capacity Max, Aerowave Technologies can even facilitate instantaneous communications between factories in geographically diverse locations. This technology allows you to communicate with all your factories simultaneously to ensure everyone is on the same page. Why Your Manufacturing Business Needs Aerowave Technologies? At Aerowave Technologies, we are committed to helping manufacturing businesses throughout Texas improve productivity, safety, employee morale, and profits. We accomplish this by working with you to create a customized communications package for all your needs. Contact us today to learn more about how we can help your manufacturing business reach new heights.